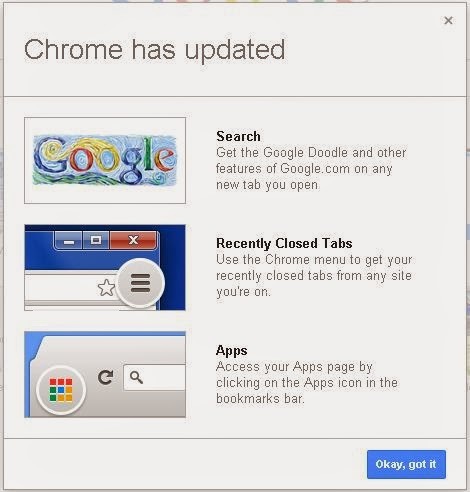 Very recently Google Chrome has been forcing a new browser update that will alter how you have been using and visually recognizing it’s interface. Yesterday, today, or sometime in the near future you will notice (without your permission) Google Chrome will change it’s look. 1. 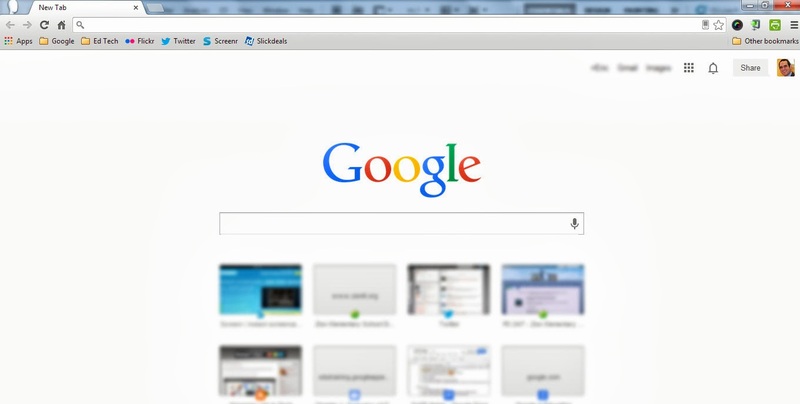 The new tab page now is a Google Search screen with recent website boxes. 2. 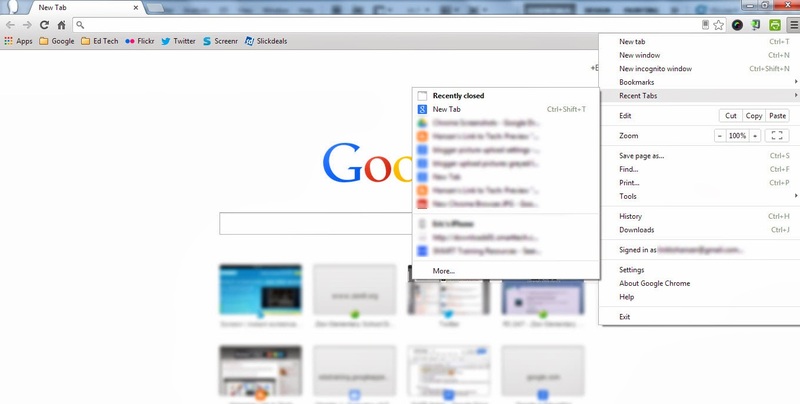 To locate recent closed tabs you use the Settings menu (3 lines top right corner). 3. To located your Chrome Apps, you now have to click the Apps button located under the back arrow button in the Bookmarks bar. You and everyone else will be getting this. Nothing is wrong, this is a release from Google. Even though I and probably you are not a big fan of this change, we need to recognize this is a change and to learn how to use it to better help others in their Chrome transition.